The City Law School's students are preparing for the Senior Moot 2016, now one of the most prestigious and valuable moots in the world. 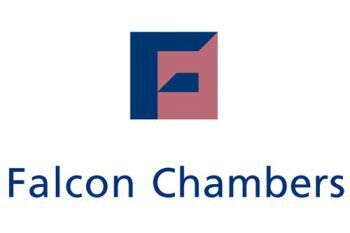 The 2016 Senior Moot which opens up on the Moodle Moot Module at 1pm on Thursday, 17th December, will be generously sponsored by award-winning Falcon Chambers, Barristers and Arbitrators specialising in real estate. Observers and visitors to the initial rounds are welcome, subject to numbers. The Senior Moot 2016 is open to approximately 800 postgraduates on the School's programmes. All students on City's BPTC, GDL, LPC and GE LLB courses are eligible to enter and attempt to secure one of the places. The overall prize pot now has been enhanced to £5,000. The new prizes are as follows: First Prize, £2,000; Second Prize, £1,300; and £850 to each of the other two Finalists. The Senior Moot this year will begin with a Round One consisting of 16 moots, each judged by a tutor on the Bar Professional Training Course. The Round One Documents Submission Period for skeleton arguments and authorities is Week 20, 9am Monday 11 Jan to 6pm Friday 15th January. Round One hearings take place in Week 21 (week commencing 18th January) only. The Prestige Placeholder students represent as moot champions outstanding talent and there will be one Prestige Place seeded into every Round One match. Collectively the Prestige Places will ensure competitive excellence. Fourteen places were allocated as below, and another two are currently held to order from Academic Programmes Moot Director, Emily Allbon, for her current mooting competitions. Prestige Places on Round One of the competition have been awarded to Edward Blakeney; Christopher Chan; John Fitzsimons; David Grutters; Nicholas Hall; Mitchell Hayden-Cook; Hollie Higgins; Camille Ibbotson; David Kemeny; Conor Kennedy; Owen Lloyd; Madeline Palacz; Usman Roohani; Benjamin Zelenka Martin. The distinguished Finals Judges are Hugh Mercer QC of Essex Court Chambers and Professor Catherine Barnard of the University of Cambridge. The Finals will be held in the Supreme Court on Thursday, 5th May 2016. The Bar Professional Training Course or BPTC (previously known as Bar Vocational Course, or BVC) is a postgraduate course which allows law graduates to be named and practise as barristers in England and Wales. The thirteen institutes that run the BPTC along with the four prestigious Inns of Court are often collectively referred to as the Bar School.